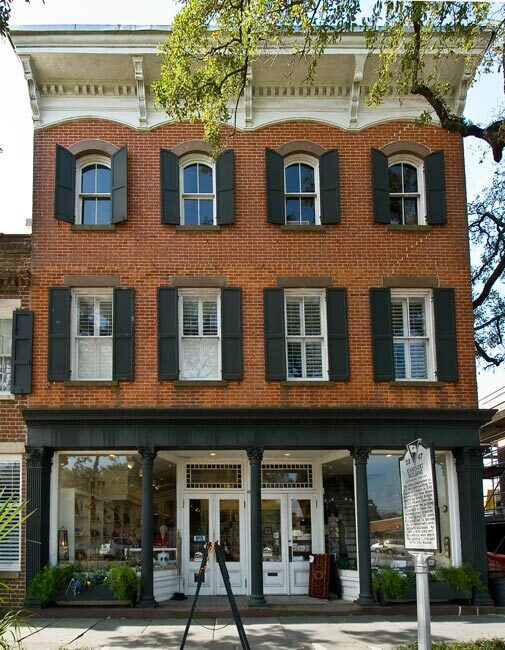 Today this former store in the heart of Georgetown belongs to the Georgetown County Historical Society and is part of the notable Georgetown Rice Museum, which stands next door. The first two floors of the striking structure were built in 1842 for Stephen Rouquie of nearby Rural Hall Plantation, who was a prosperous merchant as well as a planter. During the Civil War, the building’s second floor was the site where Captain Thomas West Daggett constructed the torpedo that sunk the Harvest Moon in Winyah Bay on March 1, 1865. Following the war Rouquie returned to Rural Hall to continue rice planting, and in 1867 merchant Heiman Kaminski leased the building for his hardware store, finally acquiring it in 1869. He added the third story and a rear addition by 1878, and the store flourished into the twentieth century along with his other businesses in the rice, shipping, and timber industries. Kaminski died in 1923. Kaminski’s son, Harold Kaminski, continued his father’s illustrious Georgetown legacy and even served as mayor of Georgetown from 1930 through 1935. His home, known as the Kaminski House, is currently a museum. The Georgetown County Historical Society formed in 1968 and acquired the adjacent town clock and Old Market Building in 1970, establishing the Rice Museum inside the historic structures. Three years later the organization procured the Kaminsky Hardware Building and restored it between 1978 and 1981. In 1992 the Browns Ferry Vessel was added to the third floor of the building as a permanent exhibit. Today the former hardware store houses the Maritime Museum Gallery, the Prevost Art Gallery, and the Museum Gift Shop. The eighteenth century cargo ship seen above has been carefully restored and declared the “most important single nautical discovery in the United States to date” by anthropologists worldwide. Many years ago, a dive instructor licensed by the SC Institute of Archaeology and Anthropology found this historic vessel on the bottom of the Black River at Browns Ferry in Georgetown County. He recognized the significance of his discovery and gave his rights to the vessel to the Institute for Scientific Investigation. 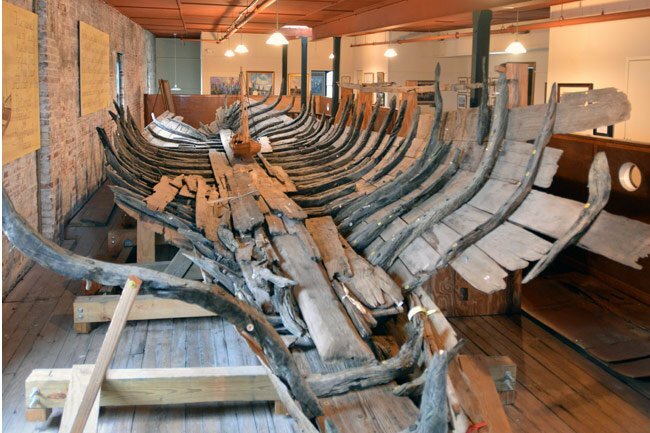 The ship was raised on August 28, 1976 and, after 16 years of restoration, was moved to its current home on the third floor of the Kaminsky Hardware Building. The roof had to be lifted off so the vessel could be lowered into the exhibit area. The ship is the oldest on exhibit in the United States, predating all other ships by 50 years. The vessel was primarily sail-driven but was small enough to be rowed or poled along if necessary. It has a flat hull, which allowed it to be slid ashore for easy loading and unloading.